This charming campground sits at the base of a mountainside in the midst of a mature pine forest. It is the ideal home base for those who have an RV less than 24' in length or for those who enjoy tent camping. Stupendous views can give the notion of being miles away from civilization, while the campground provides the comforts of basic amenities. A lesser-known trailhead leads into Rocky Mountain National Park right from the campground. 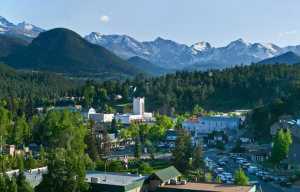 Enjoy a hot shower after a long day of adventure exploring all that Estes Park has to offer. This is a very popular campground and reservations are highly recommended. Facilities and amenities onsite include: 27 small RV sites with water & electric • 6 standard RV sites • 27 tent-only sites • dump station • hot showers • flush toilets • playground • firewood and ice sales Nearby: fishing in the reservoir • hiking trails into RMNP • mountain biking trails • horseback riding • rock climbing This campground is open May 20th through September 30th. 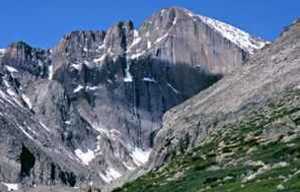 At 8,200 feet in elevation, it is located just west of Estes Park, Colorado at the end of CO Highway 66.